2017 was a rather underwhelming year for Sony as an OEM in the smartphone industry. Counting the number of devices released, the company managed to bring only nine to market. Not only did their selection dwindle, but their naming conventions did nothing to enlighten customers as to which was their premier flagship unit or even which was the latest. Even when comparing stats across two devices side by side, you’re still left scratching your head. The Sony Xperia XZ1 was the second last official phone released by Sony in 2017. Sony has had a bad habit of sticking to their guns in terms of the design of their latest smartphones. For the first two years or so, this was a huge plus point as the device was easily distinguishable from the other smartphones. The thing is, however, that we’re now into 2018, having passed the 5-year anniversary of the first major release of the OmniBalance design on the Xperia Z in 2013. If I’m honest, the design still isn’t bad and, if released as the first to feature the design, it may have been able to stand up to scrutiny. The biggest issue Sony has with their outdated design is the release of the Samsung Galaxy S8, Apple iPhone 8 (and X), and, more recently, the Nokia 8. These phones not only changed their designs from previous iterations by some margin but also set industry standards to challenge the norms. The XZ1 does not. In hand, the unit still feels good, sleek and premium. There’s no doubting the quality of the materials used. The XZ1 does feature a few small adjustments on the frame, from the more pronounced concave footprint of the fingerprint reader, also known as the power button, the protruding camera on the top left of the rear, with an additional component in the top centre for added features on the camera. If there’s one thing I do appreciate it is the inclusion of the dedicated camera button, allowing users to quickly launch the camera app and snap a photo without any fuss. The overall design is clean and minimalist and, apart from the same appearance as numerous other Sony Xperia devices, has quite a reasonable look and feel. One of the more curious aspects of the Sony display panel on the XZ1 is the continued usage of the standard LCD panels. This is made even more bizarre when you realise that Sony presented the world with one of the first commercial OLED screens on their TVs almost 10 years ago. The technology has been pushed onto many of the premium smartphones from Samsung, Apple, LG and many more. That said, the panel fitted on the XZ1 isn’t all that bad as it provides bright enough colours with the relatively crisp screen. You won’t get the amazing quality on better 4K panels, but the 1080p unit is still a good one, thanks to the inclusion of HDR, Triluminos display and X-Reality Engine. If Sony had to push this software and technology onto an OLED panel, I can only imagine how good it would look. The 5.2″ screen is slightly smaller than the panels fitted to the XZ and XZ Premium units previously. That said, the XZ Premium was fitted with a panel capable of a 3840x2160px resolution, which results in an almost double pixel density. Clearly, the XZ1 isn’t the flagship unit of the bunch but rather a more than capable mid-to-high range smartphone. 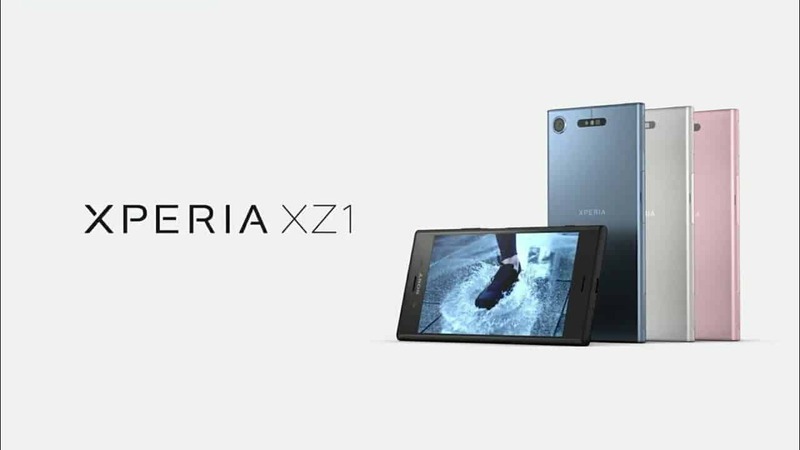 In terms of its overall specifications, the XZ1 features nearly identical hardware to the XZ Premium, with a Qualcomm MSM8998 Snapdragon 835 chipset which has an Octa-core processor (4×2.35 GHz Kryo & 4×1.9 GHz Kryo). This is coupled with an Adreno 540 GPU, 64GB internal storage, and 4GB RAM. The results on the XZ1 are slightly better than the factory standard XZ Premium as a result of the updated Android OS but running on the same firmware will make for fairly similar performances. The hardware isn’t underpowered by any means but isn’t quite able to compete with the heavies in a head-to-head battle. There is a slight difference, however, when compared to the similar specced Nokia 8, which has a much more vanilla version of Android, and an improved 6GB of RAM. The unit features a non-removable, Li-Ion 2700mAh battery, which is slightly down on the XZ Premium but has very similar battery life in comparison. The smaller battery also means a difference in 40g of weight saved. One of the great aspects of Sony’s hardware is that it was always good at keeping battery consumption low, increasing it by means of various saver modes, which don’t necessarily affect the overall power. The XZ1 continues this trend by being able to last more than a single day on a charge, and if you use the device more efficiently, can even push towards a full two days of use before needing to be plugged in again. 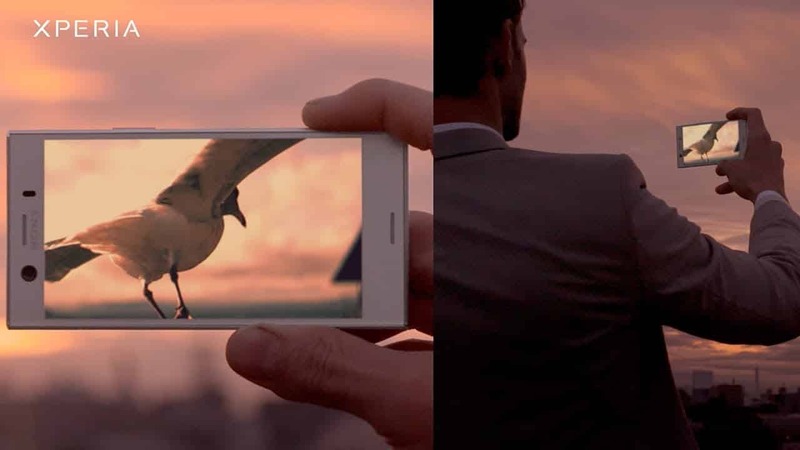 Another of the standout features well-documented on previous Sony devices was its cameras. The XZ1 again keeps this trend going with a feature-packed 19MP, which has a f/2.0, 25mm, 1/2.3″, 1.22µm aperture, gyro EIS, predictive phase detection and laser autofocus, LED flash and check quality. The unit captures great high-quality images with HDR, along with 960fps slow-mo video recording. Images are bright, colourful and crisp, and do well in various environments, including landscapes and action shots. The camera already does enough to stand up to fair scrutiny, but there’s one additional feature that makes it even better. Fitted to the rear, as mentioned earlier, is a feature that allows users to capture 3D images using Sony’s 3D Creator app. The app scans faces, food, and various other objects to make a 3D rendering of the said item, which can then be placed in photos and videos, similar to that used in Augmented Reality software, something Sony has always been trying to push for many years already. Apparently, the app is able to create a rendering that could also be used for 3D printing. The unit is very nifty, but also has a few flaws and bugs scattered throughout, but is still very fun to use and exciting to see more of, and better tuned, in the future. On its own, the Sony Xperia XZ1 is a very good device and does quite a good job across the board. If not for the outdated design, the unit would be even more impressive on the whole. The screen quality is a bit down in terms of the LCD and lower resolution, but there are a few aspects that are nice to have. At an RRP of around R10,000, the XZ1 does quite well with what it has to work with and definitely punching above its weight. But, as always, Sony always tend to provide a device that marks a turning point and a lot more is expected from future iterations, but end up throwing all the progress out the window or simply repackage the same device with a different set of features and making very little progress. With the imminent launch of the next generation of Xperia smartphones around the corner, one can only hope for a much better leap forward from Sony. For more reviews, news, drops and all things geek, follow me on Instagram.